As things now stand, on March 9, 2019, Cadpage updates distributed through Google play store will be forbidden from accessing incoming text messages. Users who receive direct alerts from Code Messaging or Active911 or the Cadpage paging service will not be affected. Users who have a paid Cadpage subscription and can route their dispatch alerts through the Cadpage Paging Service are strongly advised to do so. Users who are receiving text dispatch alerts and can not or do not wish to route them through are paging service will need to install the Cadpage support app. This support app basically performs all of the Cadpage functions that are now forbidden for regular play store apps. Which of course means that it can not be distributed through the play store and must be downloaded here. Once you have downloaded and installed it, Cadpage should return to full functionality. At least until Google catches on to what we are up to and puts a stop to it. 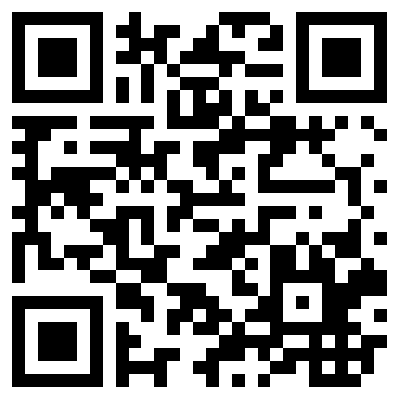 Select cadpage-support.apk or use the following QR code to download the support app. You should be asked if you want to install a Cadpage update. Press "Install"
You have to enable installs from unknown (meaning other than Android Market) sources. This does open a potential security issue so you might want to turn this off again once you have installed the Cadpage beta release.